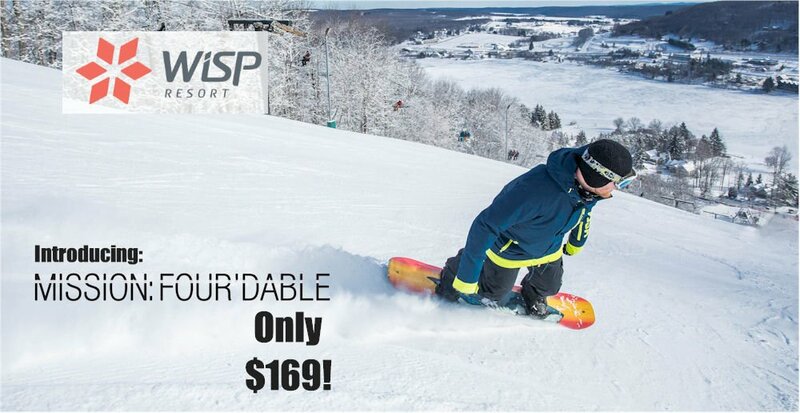 This is part of Wisp’s ongoing mission to make skiing and riding more affordable for everyone. We want to introduce a fresh crop to the sport, bring back those seasoned veterans we’ve lost and offer more opportunities to our already loyal skiers and riders! Mission: Four’dable is 4 unrestricted transferable lift tickets valid for the 18.19 winter season for only $169! Offer valid online only starting Midnight on November 1 thru 11:59 pm on November 22, 2018. Tickets valid anytime from opening day to closing day of the 18.19 Winter Season. Redeem anytime including same day. Vouchers are transferable and may be used by someone other than the purchaser. All purchases are final and cannot be cancelled even with a fee. Once your purchase is complete, your credit card will be charged for the amount shown regardless of whether or not the vouchers are used. 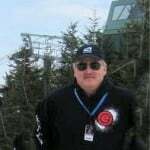 We do not guarantee number of operating days, lifts or slopes, weather, or other conditions. Vouchers expire at the end of the 18.19 Winter Season. All sales final. No refunds, exchanges, returns, extensions or cash value. Not for re-sale. Shipping Option: By choosing the shipping & handling fee at time of purchase, you agree to the S&H fee of $4.99 and your vouchers will be mailed to the address on file. Pick-up Option: Mission: Four’dable vouchers will be available for pick-up starting Friday, November 23, 2018 at Guest Services. The guest name attached to the purchase transaction must be the same person picking up the vouchers. Valid photo ID and confirmation email required. Previous articleC and R Ski & Outdoors Hosts HUGE SALE Nov 16-25th! Next articleCataloochee to Reopen Friday!